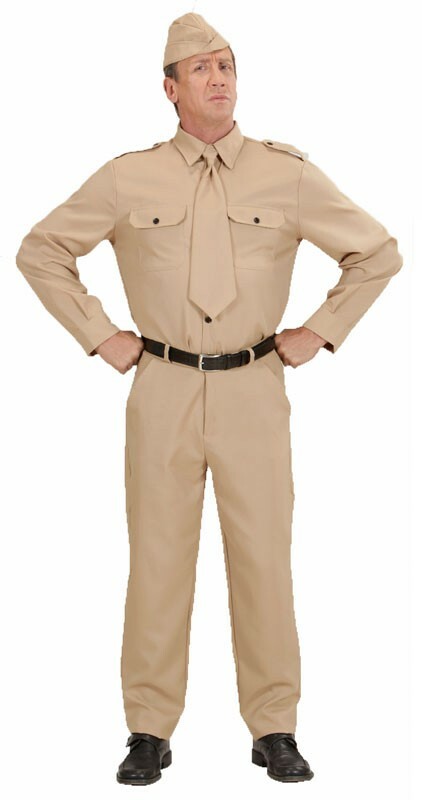 WW2 Men's Soldier Plus size Costume (7662)#NAME? WW2 man plus size soldier costume. Solider man costume includes beige trousers, shirt, tie and hat.